Payment – You have to pay the mortgage repayments on the dates the lender dictates. If you fail to do so, the lender can repossess the property. An inventory is a list of all items that are in the property – it includes descriptions of items, quantities and condition. Both the tenant and the landlord should sign this list. When the tenant decides to leave the property you can check the list to see what is left in the property. If there are any deviations from the list you can charge the tenant to correct the deviation. So, for example, if there were four dining chairs when the tenant moved in and now there are only three, you can deduct the cost of replacing the dining chair from the tenant’s deposit. If you get an inventory done it will ensure that the tenant thinks that you care about the place you are letting and the tenant will be less likely to damage the property. If the condition of the carpet is recorded then the tenant is more likely to remove any stains caused, as he fears that you will deduct cleaning costs from his deposit. Rent – How much rent is to be paid and the frequency of payment. Duration – An AST is for a minimum of six months and maximum of twelve months. I would always suggest a tenancy of six months as the tenant has the right to run the duration of the tenancy unless there is a breach on either party. See below. Tenant obligations – It details the tenant’s obligations to the property and the landlord, such as maintenance, not to sublet, informing the landlord of problems in good time, and reporting damage. In the appendix is an example of an Assured Shorthold Tenancy Agreement. You wish to reside in the property. In the appendix is an example of a Notice of Intention to Seek Possession (Section 21). File copies of the notices sent to the tenant with the court. Sue for all rent arrears and legal costs and court fees. We have to face a reality here though. This procedure will take a long time, give you stress and you can potentially lose up to six months’ rent. If you include court fees and solicitors’ costs and the threat of damage to your property the whole eviction process could cost you in excess of £3,000. If you want the tenant out of your property and they have ignored all your notices then offer to pay them to leave. This option could be cheaper. I would suggest one months’ rent being fair. This will pay the deposit for their next property. Try to initiate a friendly separation. Do not add fuel to an already fiery situation by losing your temper and threatening immediate court action. Statistically only three per cent of tenants tend to be bad tenants – bad tenants being tenants that have no intention of paying the rent, not tenants that lose their job and can’t pay their rent. If a tenant loses their job it is more than likely that they are going to get another job. If they have been relatively good payers of the rent then be patient with them. In my experience I would say that the three per cent statistic is right. The majority of people wish to settle in a home and feel secure. The best way for them to feel secure is to pay their rent on time. Timeliness of payment – Check to see how soon the letting agent has to hand over the money, once the tenant has received it. I would not accept any period longer than three days. Get out clauses – If you decide to no longer use the letting agent check to see how easy it is to get out. One agent tried to sue me for all the lost commission he would have earned even though I was now collecting the rent! If you have an idea of using a letting agent at first and then taking over in six months inform the letting agent of this intention. You may be able to strike a deal where you have a realistically priced option to get out of the contract. If you do not get one of these certificates and someone suffers or even dies from carbon monoxide poisoning then you could face a hefty fine and imprisonment. The guilt will be even worse. A yearly inspection is advisable, but not a legal requirement, for all electrical appliances supplied with the property by an NICEIC contractor. Basically anything electrical will need to be examined and passed by the NICEIC contractor. So it’s quite obvious - keep the number of electrical items to a minimum! The fewer electrical items you supply the less there is likely to go wrong. This limits the reasons why your tenant can ring you up telling you about a problem. You don’t need your tenant ringing you up at 6am complaining about the kettle not working. There is no certificate issued but an inspection will cover you from being sued if any electrical appliance were to harm your tenants or their guests. All upholstered furniture must comply with the Furniture and Furnishings (fire) (safety) Regulations 1988. You can tell if the furniture is compliant because there will be a label in the cushioning. Any furniture purchased after 1990 will automatically comply with all fire regulations. Although not a legal requirement, I would recommend that smoke alarms be installed in rented properties to cover you against any negligence claim if you were to be sued. The law of tort - negligence and personal injury. iii) Zak breached that duty of care, as he did not fix the socket when asked to by the tenant. Even if your tenant hasn’t paid you any rent for two months you cannot ‘send the boys round’. Threatening your tenant or being violent to your tenant because he hasn’t paid you any rent is no justification for your behaviour in the eyes of the law. Investing in property can sometimes challenge your ability to remain calm and situations can become quite heated. 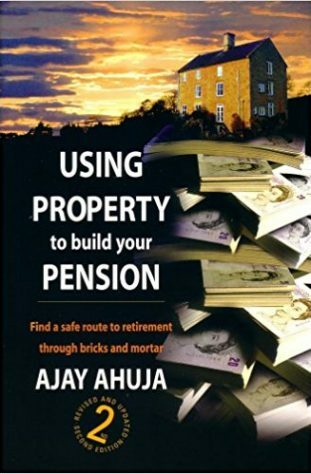 You have to be a responsible person and realise that if you want to build a property pension seriously then you have to act lawfully in every way.